Production of labels requires the correction of rewound labels in order to control quality of the print. The label rewinder Langer has been designed to achieve this aim. Various control systems has as purpose to ensure that only best quality rolls will reach your customers. Supported unwind for stretchy foils. 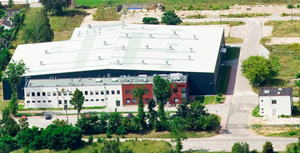 In label industry the most important is productivity. 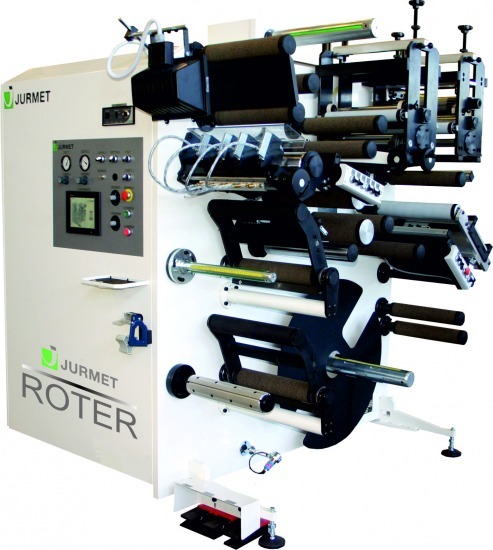 In order to achieve this aim Jurmet company has launched to the market a high productivity rotary die cutting label rewinder Roter. 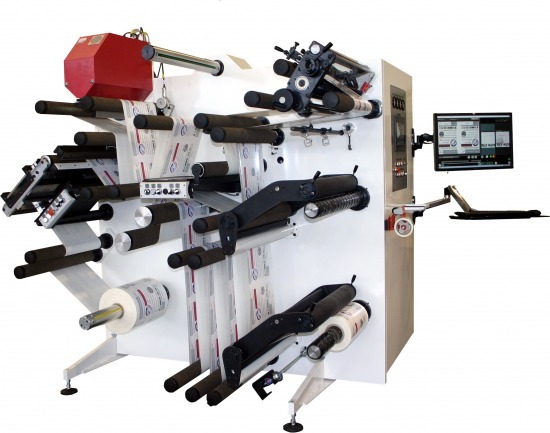 This label rewinder makes possible to manufacture blank labels with different shapes and sizes with the max. speed of 300m/min.Such a speed is possible to archive thanks to applying precision web tension control performed with 3 motors. An additional advantage is an independent control of matrix made by an additional motor. High job parameters make a perfect choice for Roter label rewinder. Max. mechanical speed max. 300m/min.